Erin and Sally Simpson*, like so many of us, were hearing wise advice from every corner, from television pundits to radio personalities to lifestyle magazines: eat well, avoid fast food, stay healthy. Late last year however, they noticed that their household budget was taking a hit. The Simpsons had hoped to buy a house but discovered that they didn’t have enough savings. They were baffled. They did not feel financially strapped. But they were also unable to save in general. They were unsure what to do. They wanted to stay healthy, but saw that often making the right choices seemed to cost them dearly every month. Erin’s student loans compounded the problem; the monthly payments were eroding the couple’s ability to save. As it happened, they heard of a financial literacy workshop being held at their church, offered by a fellow church member, D. Nathan Cieszynski, a housing and financial counselor with the Inland Fair Housing and Mediation Board (IFHMB). In November 2017, they participated in the workshop and a one-on-one session afterward with Cieszynski. For groceries and for dining out, the couple were spending more than $1,200 a month. They had no idea they were spending so much. They were small purchases, he says like buying one or two items of groceries every day. The Simpsons’ story is not unusual among young people—the Simpsons are ages 24 and 27—just starting out in their adult, professional lives. Generations have gone before them. But the cards can be stacked against this generation in particular because of student debt and poor financial literacy. The growing and cyclical problem of student debt, and how it affects home ownership, stems from the financial crisis that began in 2007, say analysts. The economic downturn wiped out trillions of dollars in household savings and home equity that families might have been saving to pay for college. When a student graduates and intends to buy a home, the accumulated student loan debt weighs against any potential purchasing power. This, too, has long-term consequences for the national economy, according to a Consumer Financial Protection Bureau official who told a Senate panel on the subject in June 2014 that student debt is having a kind of “domino effect” on other areas of the country’s financial stability. 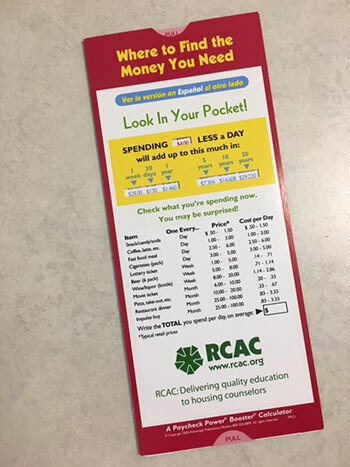 In 2016, RCAC received funding from Bank of America to launch a pilot program aimed at educating students about taking on debt to pay for college. According to Judy Hunter, RCAC’s housing counseling manager who oversees the program, RCAC contracted with two housing counseling agencies to deliver counseling services to students at the point of borrowing. One of those agencies is the Santa Fe Community Housing Trust and IFHMB, where Cieszynski works, is the other. RCAC is a significant partner in these housing counseling efforts. In 2005, it became a national U.S. Department of Housing and Urban Development (HUD)-approved housing counseling intermediary. Since 2006, its training team—which includes Hunter, Teresa Bardwell, Donna Lea Brooks and Judy Monteux—has trained thousands of housing counselors and program managers. In 2016, RCAC became a HUD training partner and this year, it expanded its training schedule, and offers classes in Arizona, California, Colorado, Florida, Illinois, Nevada, New York and Texas, as well as multiple webinars to train counselors like Cieszynski. In the nearly seven years Cieszynski has worked with clients like the Simpsons, he has observed how difficult money management has become because schools and parents often aren’t teaching it. “You can’t teach what you don’t know,” he says in reference to families which themselves are hoodwinked by advertising and credit card companies. “Especially here in Southern California, where everything is centered around immediate gratification. If you can get through the day and still have some money in your pocket, you think you’re doing alright. Cieszynski, together with the Simpsons, looked carefully at their combined income and also their expenses. He then advised them to take note and write down all of their expenses. In two months, by monitoring and tracking their spending, the Simpsons managed to reduce their food spending from $1,200 a month to $400 a month. Moreover, they did not notice a major difference in their lifestyle. “They simply were making smarter choices,” Cieszynski says. For example, Cieszynski helped Erin consolidate multiple loans into one loan. She then applied for an income-based repayment plan. Since she works for a state agency, she will be applying for Public Service Forgiveness. For now, the reduced monthly combined payment for Erin’s student loans went from $620 a month to $312 a month. Consolidating her student loans, selecting the proper repayment plan and reducing their food budget saved them $1,108 a month. Moreover, there were other areas they found where they could cut costs without disrupting their life, resulting in a total savings of $1,900 a month for the Simpson household – money they put into a savings account toward a home purchase. In this context, experts say many younger people benefit from financial counseling toward improving their financial literacy. This has been Cieszynski’s experience, too. 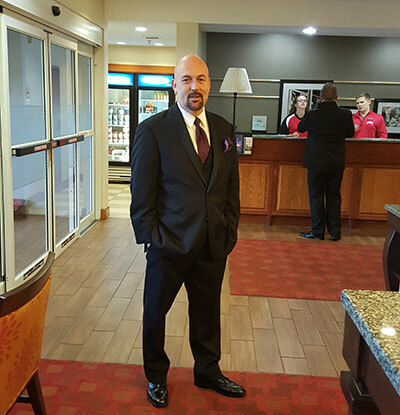 Before becoming a financial counselor, Cieszynski worked in the mortgage industry. It was then—and in the immediate aftermath of its collapse a decade ago—that his perspective on money and savings changed. “I was forced to re-evaluate everything,” he says, noting that he sees this same reconsideration among his clients, and in particular those he counsels on student debt. He acknowledges that some analysts contend that student debt does not have a large impact on a person’s ability to later buy a home but he doesn’t necessarily agree with this. “Affording the payment, both initially and with respect to long-term sustainability is where I see student loans creating an impediment,” he further explains. “There is always an expert or someone who will tell you how to get into a home, but there is only one way to keep and afford it. “My take is that student loan debt is an impediment to buy a home depending on how you buy a home,” he continues. “With hybrid loans, and things like 100 percent financing, there’s no impediment. But when and if there’s a crackdown on those home loans, then there’s a definite problem.” Unfortunately, he adds, he sees hybrid loans and sub-prime loans renamed “Second Chance” loans making a come-back. It is what motivates him to keep his clients alert to cons and pitfalls. As for the Simpsons, he proudly notes an observable measure of success. “They’re putting their money away every month,” he says, “and will be able to afford a healthy down payment for a home within the next 24 months. *These names are fictional as the subjects of this article, who do exist, wish to remain anonymous.